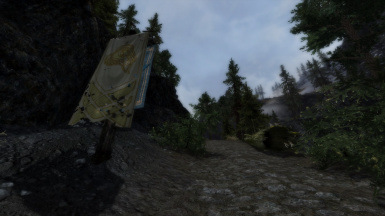 Adds banners along roads showing which hold you are about to enter. 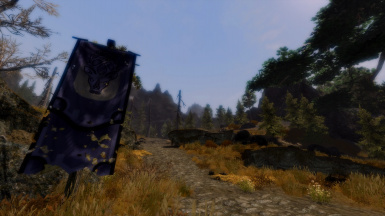 This mod adds banners along roadsides at the boundaries of two holds. 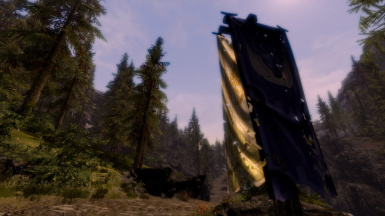 The banner you see will show you which hold you are entering. 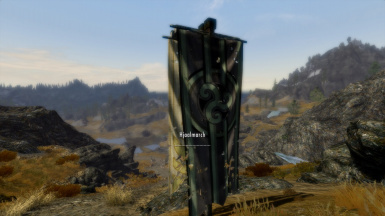 If you're not sure what the banner represents, just walk up to it and it will show the name of the hold. 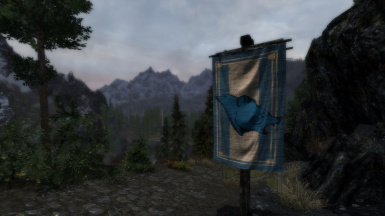 County and state boundaries are marked in real life, so why not Skyrim? 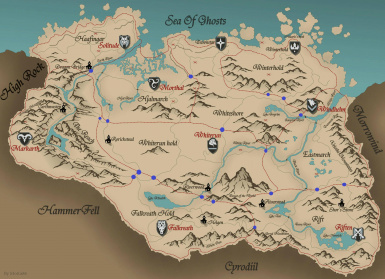 The borders were placed using the original Skyrim map that shipped with the game. If you are using Warburg's Paper 3D Map (2nd Texture), the borders should match. 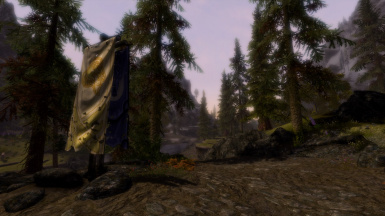 A huge thank you to Sydzilla for the Markarth banner re-texture and making it available as a modder's resource. 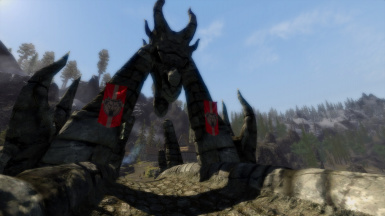 Thank you to 'dptheslothking', 'izon87604', 'Gopher' & GamerPoets for their youtube features. Thanks to 'BJTheGuru' for suggesting the idea in the 'Point The Way' discussion thread. 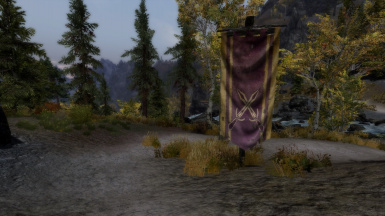 Thanks to 'Arthmoor' for the recommendation on his 'Point The Way' mod page. 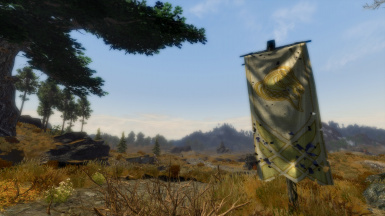 Thanks to 'daventry' and 'LotteryDiscountz' for confirming compatibility with 'Touring Carriages'. 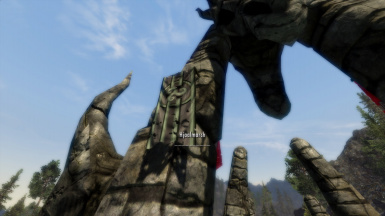 Thank you to 'EHPDJFrANKy', 'riccardo83' and 'kokhin2' for their translations. Thank you to everyone who downloaded and endorsed.